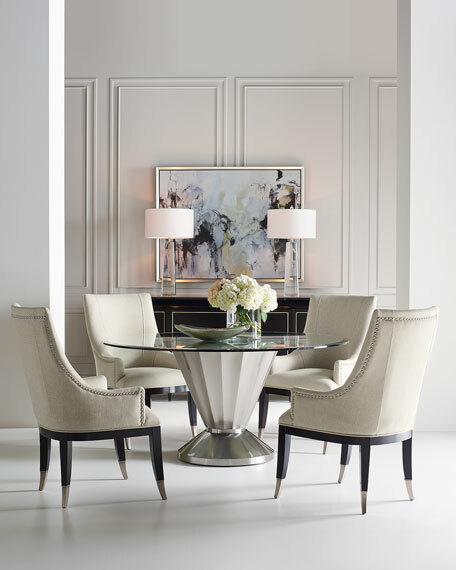 This is a great go-to chair for a wide variety of dining tables. 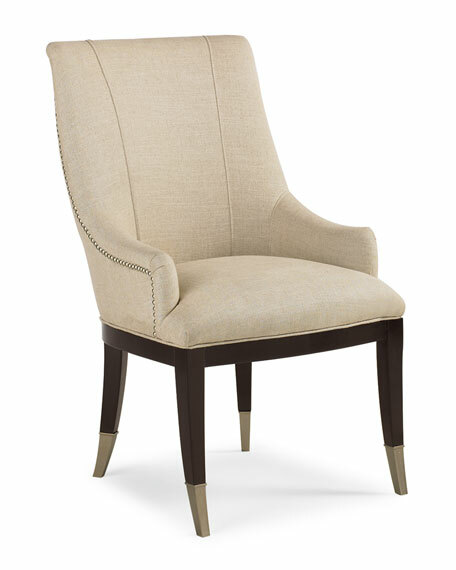 The A La Carte chair is upholstered in a neutral linen fabric with an almost black leg that is accessorized with a sharp silver ferrule. 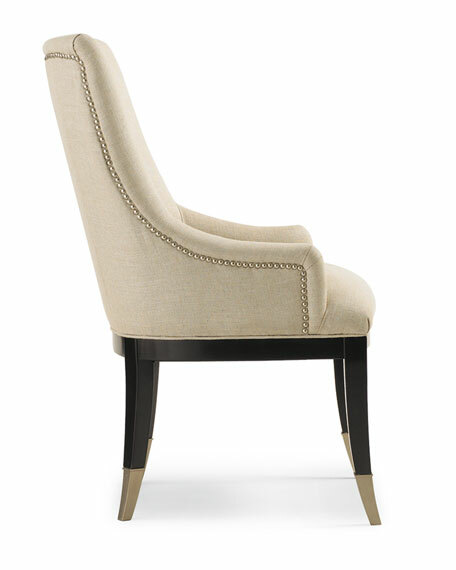 The tall back makes this an exceptionally comfortable seat for a lengthy dinner party. Feel free to dress it up or down. It's your choice! 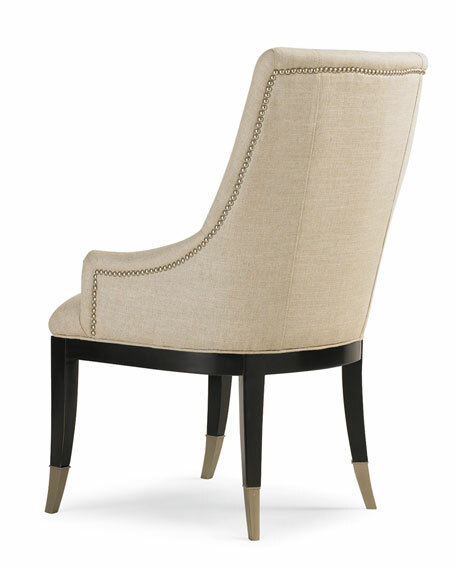 Handcrafted chairs with nail head trim. Overall, 23"W x 26.5"D x 39"T. Inner dimensions, 18.5"W x 19"D x 19.8"T.